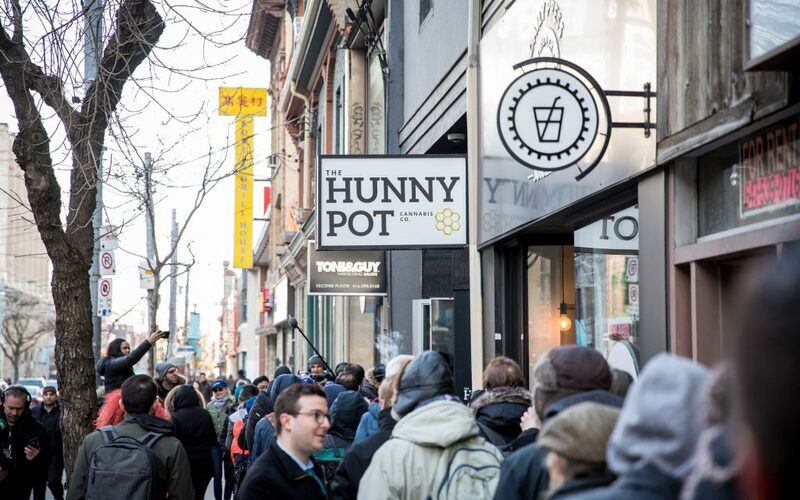 The Hunny Pot—clever name, right?—is in the hipster outpost of Queen Street West but could easily be two kilometres north, in the upscale Yorkville area. 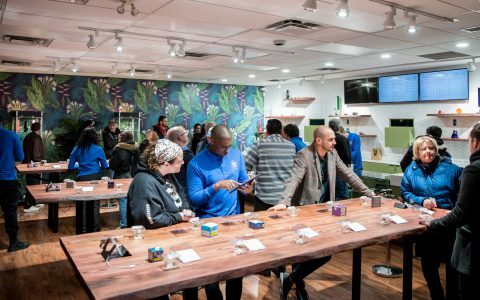 After lining up in the cold for an hour or more on opening day, the hundred-plus cannabis enthusiasts stepped into a spacious, multi-level store full of gleaming chrome and sharp edges. 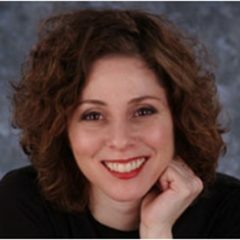 Of the five cannabis retail stores that were supposed to open in Toronto on April 1, it’s the only one that did. Entrepreneur Hunny Gawri managed to complete the province’s approval process in time to open his store on the designated date. “The last four months have been a challenge, but a fun challenge,” Gawri said, describing the preparations he started in January when he was named one of the 25 lottery winners who could apply for a retail license in Ontario. Gawri set out to create a retail outlet that did not smack of stoner culture—and he succeeded. At first blush, Hunny Pot could be mistaken for a store that sells fine jewelry. But the display cases don’t house diamond necklaces or Rolex watches—and a golden blunt displayed on a small pedestal makes that clear. The store is sleek and feels upscale but not unapproachable. The walls are lined with posters that educate customers about cannabis plants and cannabinoids, and employees are knowledgable and friendly. 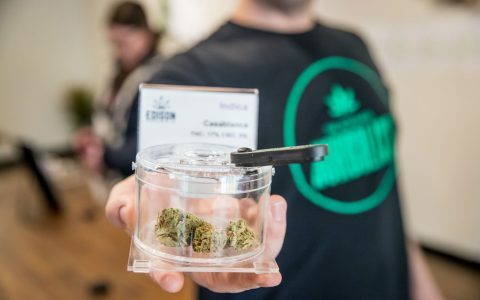 As soon as customers walk through the front door, they’re greeted by personal budtenders who introduce them to various bud samples. 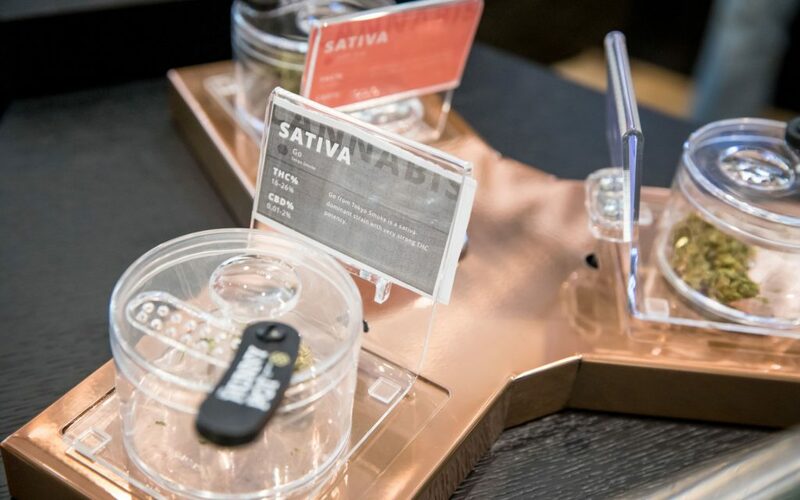 Cannabis is in sensory jars that have movable rubber stoppers and magnifying lids so that customers can take a good whiff and inspect buds closely before purchasing. 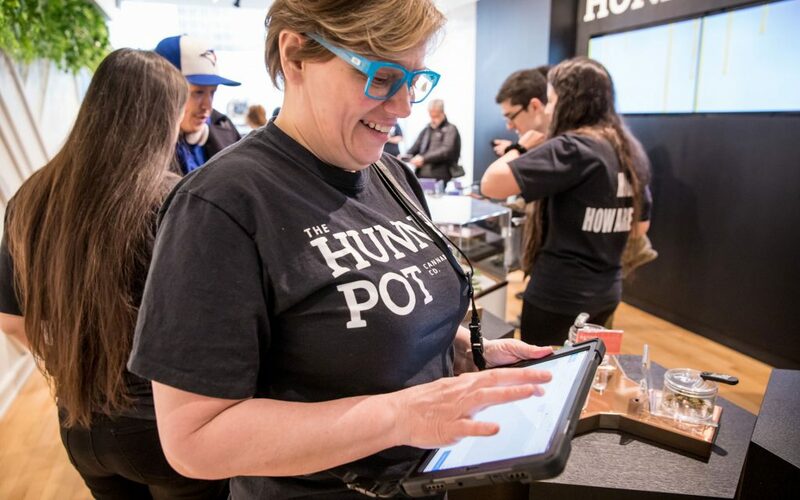 Budtenders place customer orders through tablets and direct customers to the checkout. 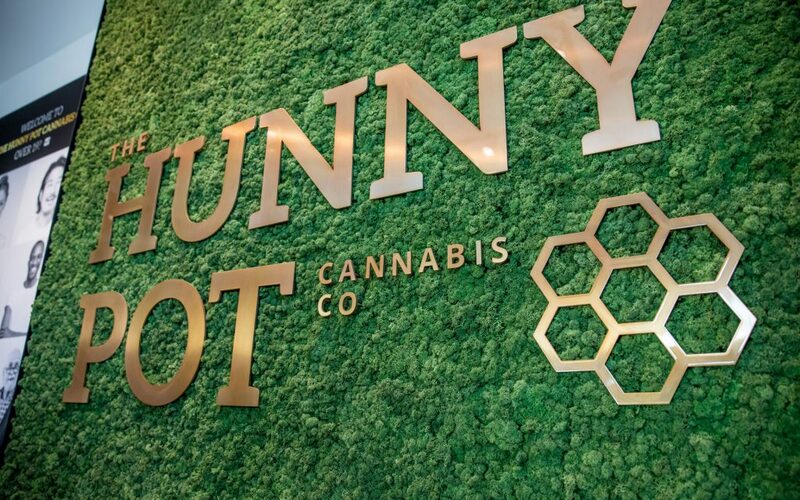 The Hunny Pot sells dozens of kinds of cannabis in flower and oils, as well as a wide range of accessories, from pipes to joint rollers and electronic vaporizers. 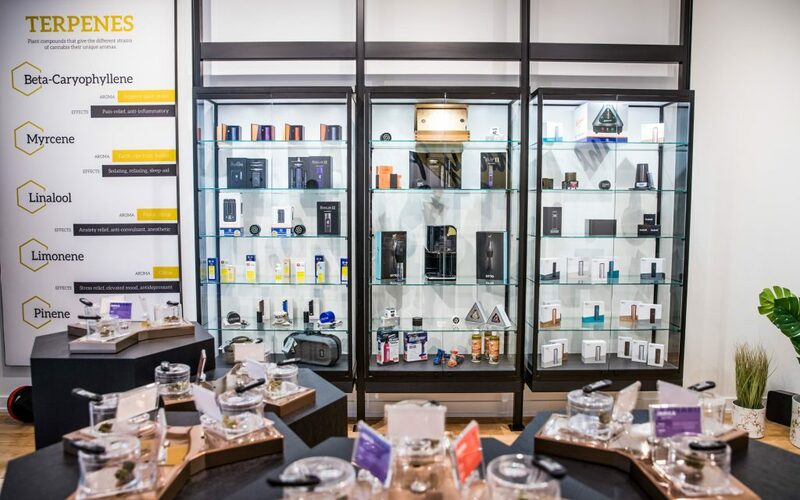 Starting at roughly $10 per gram, the cost is on par with prices on the Ontario Cannabis Store website but is a little higher than it is on the black market. Being located in Canada’s most populous city this store is sure to attract line ups. 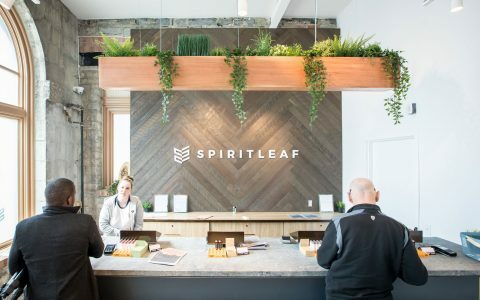 Housed across three stories and unprepared to accommodate customers with limited mobility, some have raised concerns about accessibility—no small glitch considering the high number of consumers who use cannabis for therapeutic purposes. 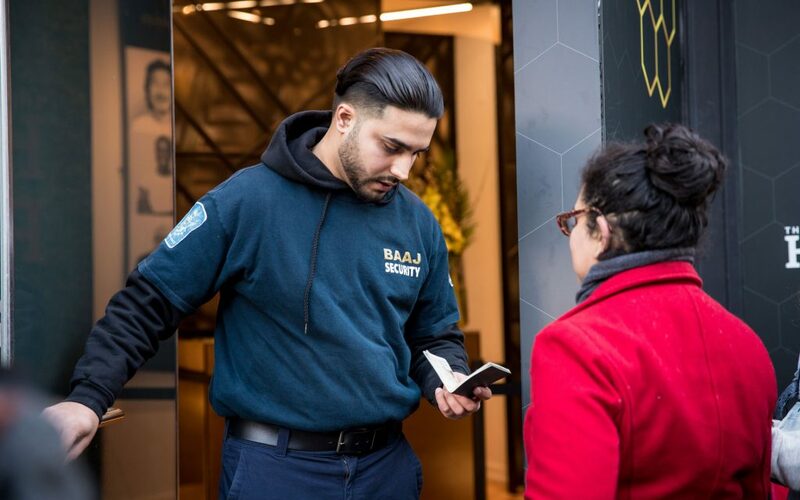 There is also a lot of security personnel in the store and customers will be required to present ID upon walking through the front door and later at reception.